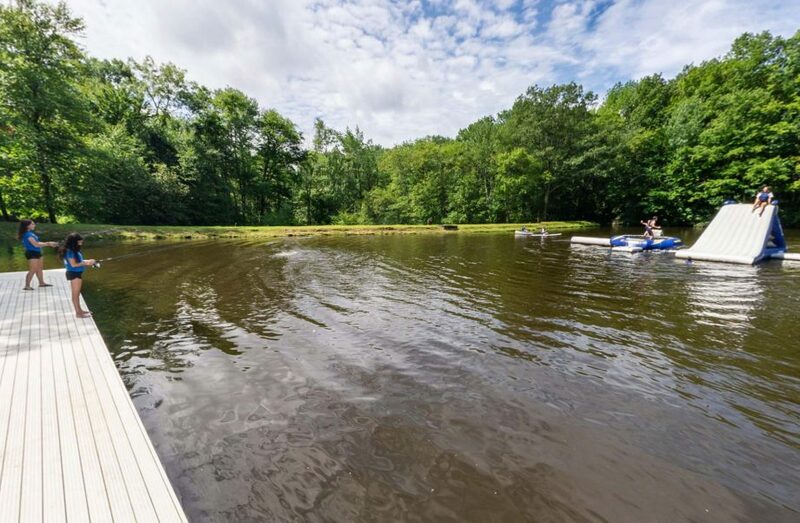 Our waterfront consists of both a heated pool and a spring fed lake. 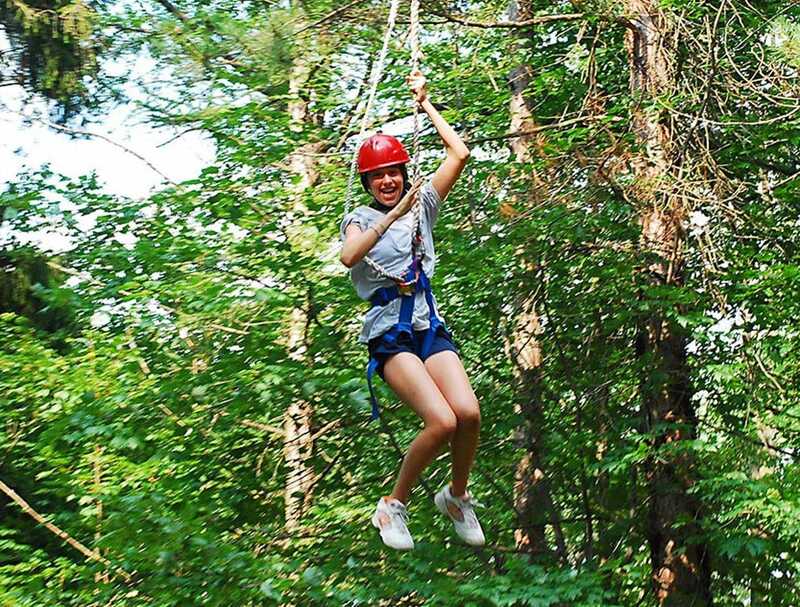 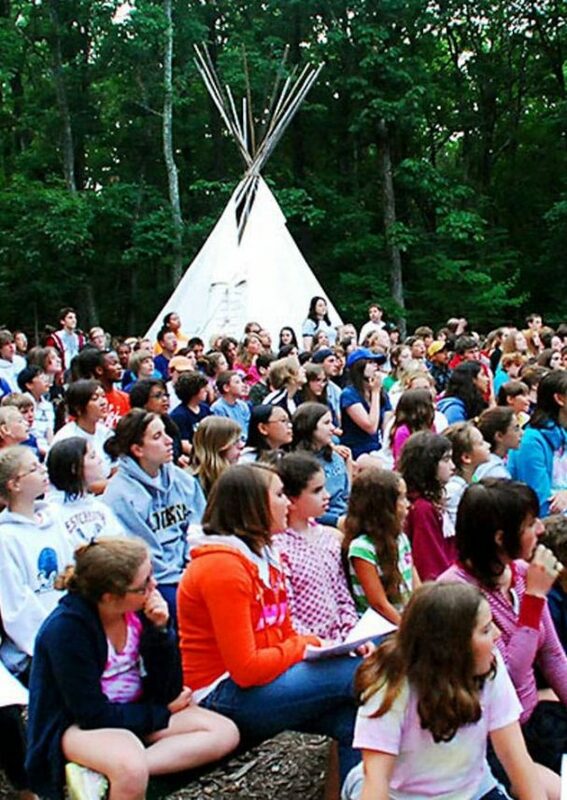 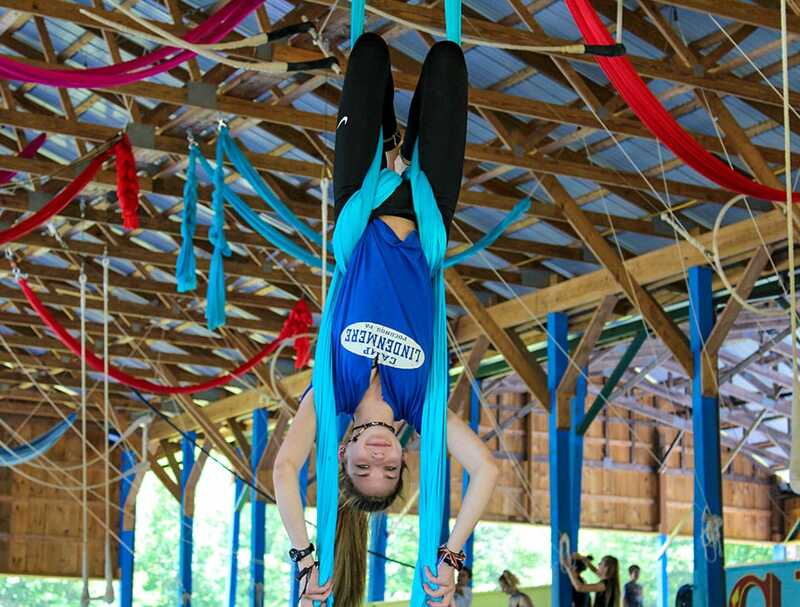 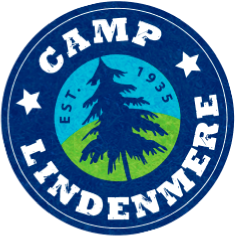 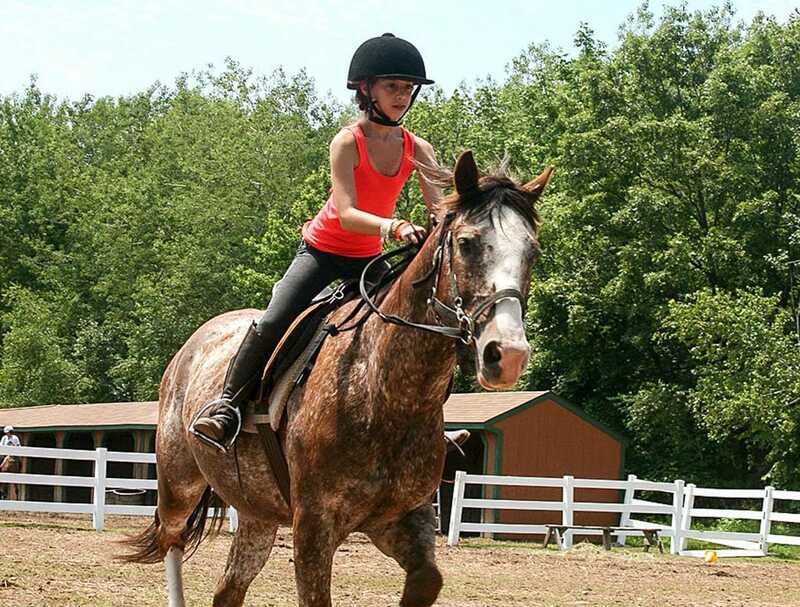 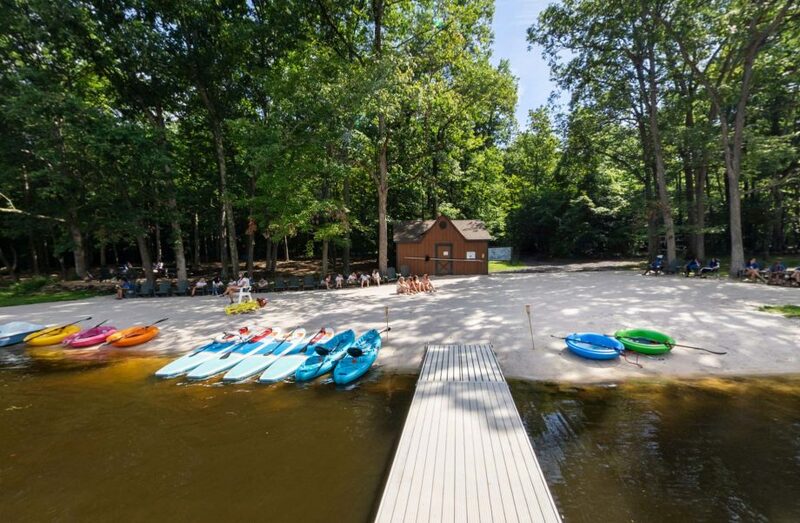 Both areas have tons of exciting activities for campers to participate in. 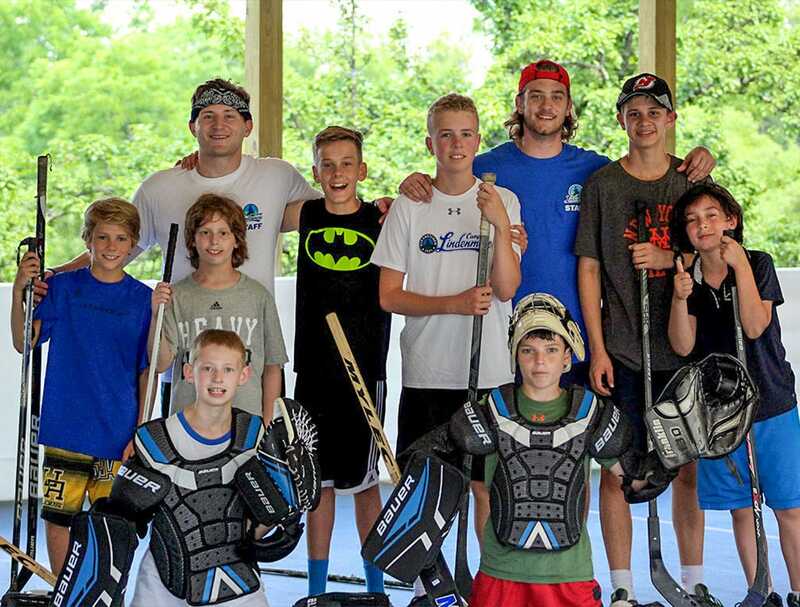 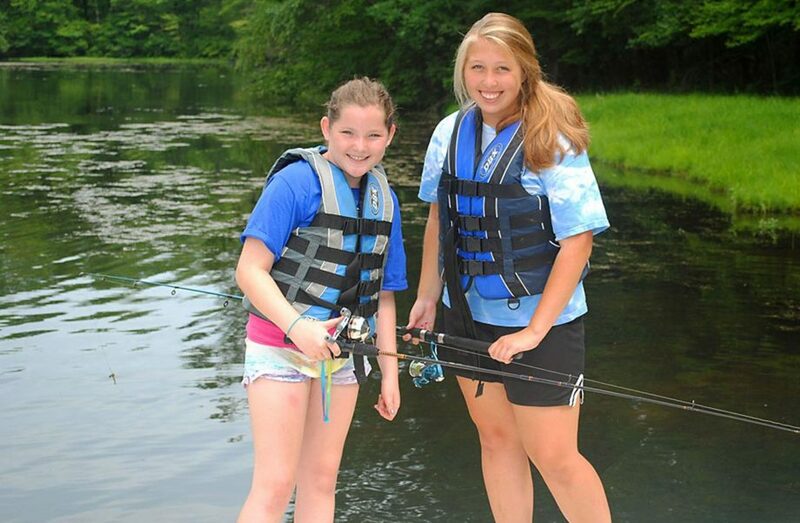 Whether a camper wants to learn how to fish, jump on a trampoline, hit the beach or take instructional swim they are going to find something for them! 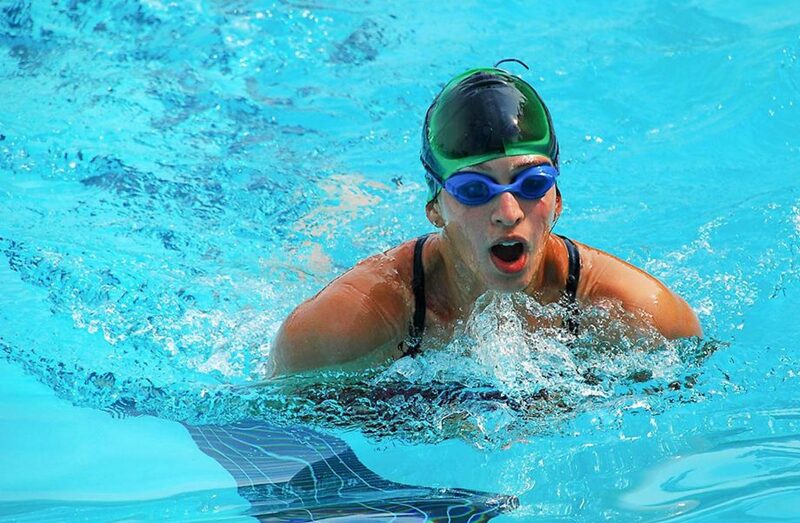 Our heated and lit pool has a lot of great activities! 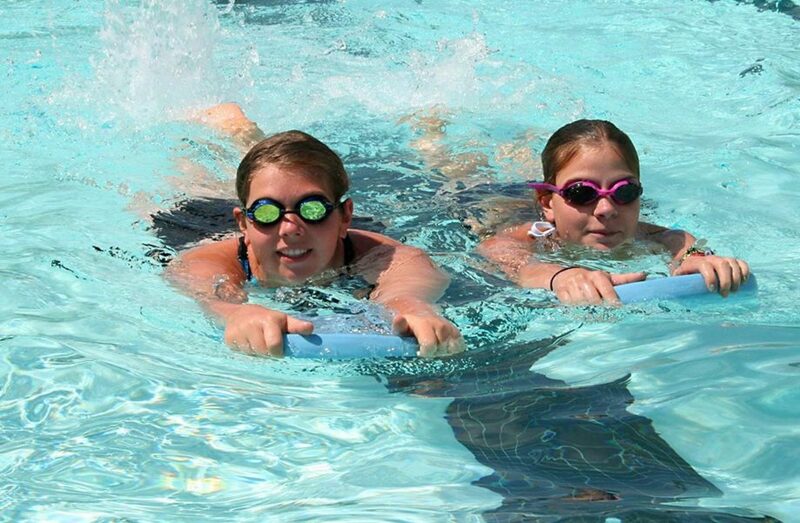 Our campers take both instructional and recreational swim in our pool. 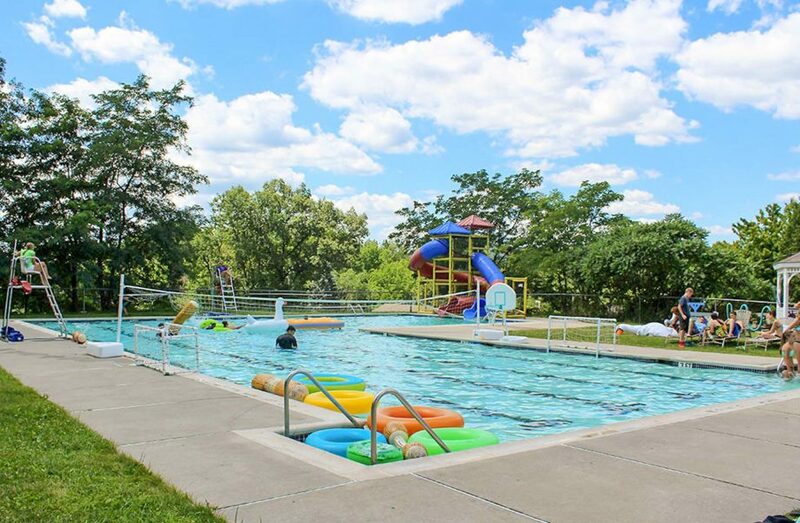 We also offer water activities like water polo, volleyball, basketball and there are also two large water slides for campers to use! 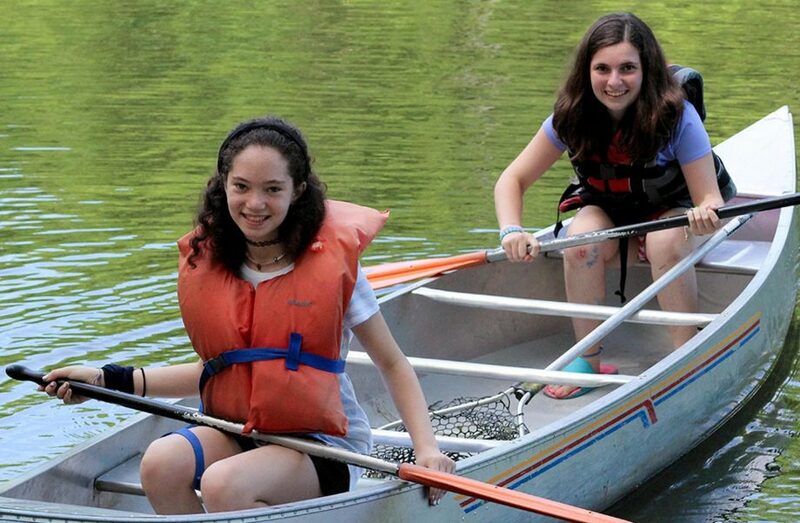 Lake Highwood is one of our most popular areas on camp. 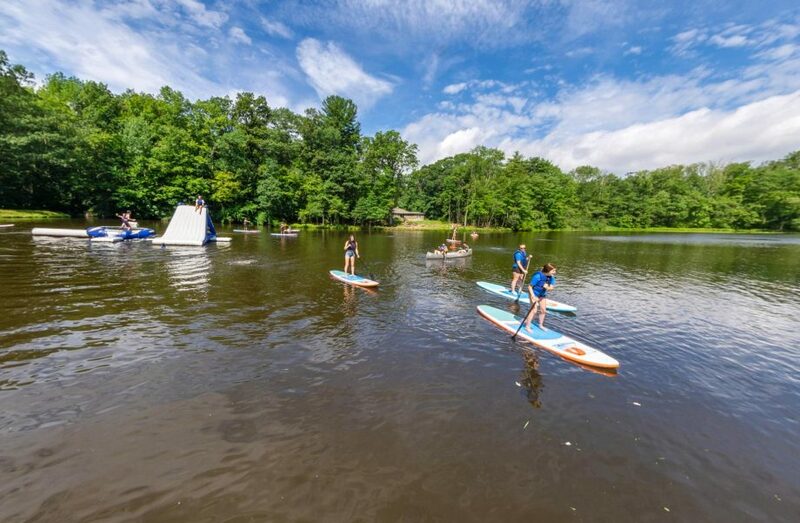 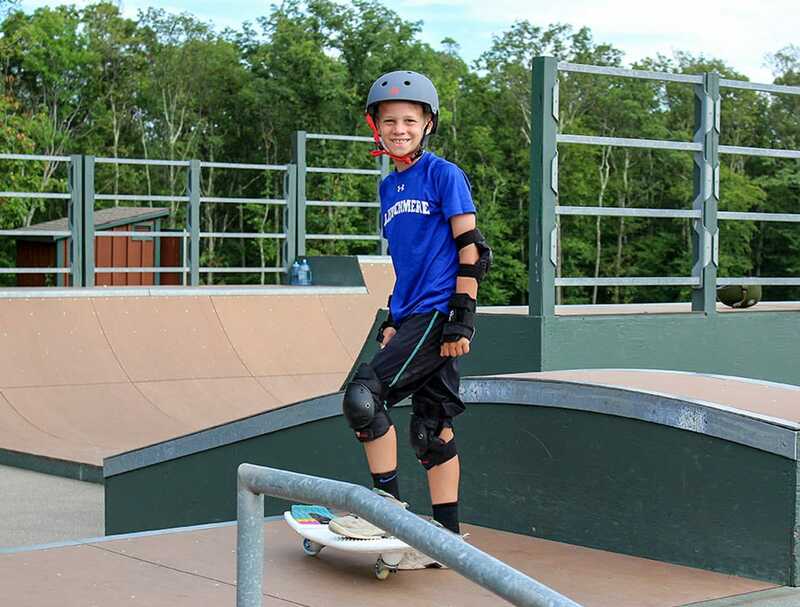 Campers can enjoy our wide variety of lake front activities including a water trampoline, 12′ high water slide, beach volleyball, lounge on our sunny beach, stand up paddle boards, corkls, canoes, kayaks and paddle boats. 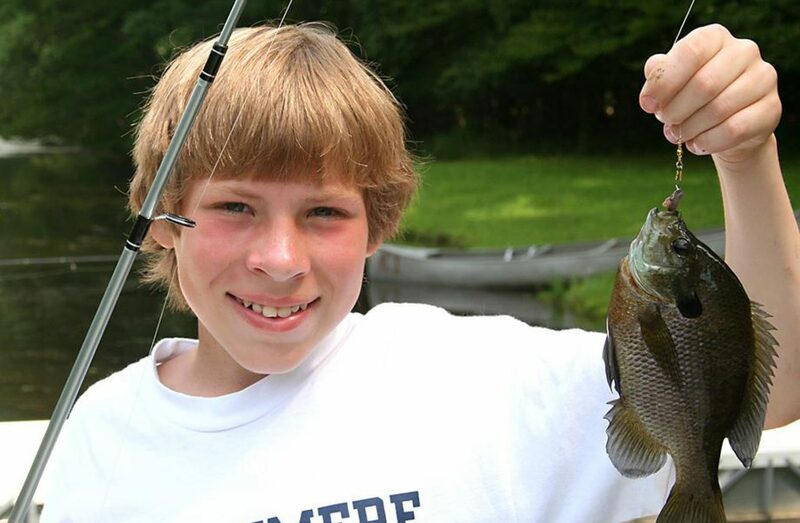 Campers also enjoy fishing off of our private dock where our stocked lake provides ample opportunity to catch both smallmouth and largemouth bass.